The Geneva Residence – Appart’Valley is in the French town of Gaillard, by the Franco-Swiss Moëllesulaz border and within very easy reach of Geneva. A tramway that goes to the centre of Geneva is less than 50 metres from the residence. With its beautiful, fully-equiped studios and flats, the residence is ideal for anyone visiting Geneva, enjoy its services for one night or several months. The residence has 70 flats equipped with: a kitchenette, microwave, refrigerator, kettle, satellite TV and free Wi-Fi. 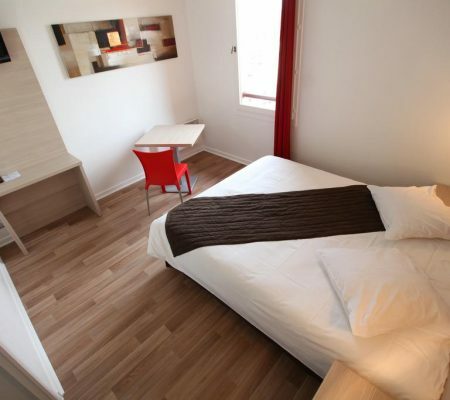 The one bed flats have a double bed plus a sofa bed, while the studios have either a sofa bed or a double bed. We can also manage late arrivals. Private parking is available at the residence (€9 / night).